Well in my previous I mentioned Choc Shot, strawberries & meringue and I sat here at my desk for a while but just couldn't get the idea of the dessert out of head so lunch became pudding in the Kelly house today! I measured out my level tablespoon of ChocShot and drizzled it around the sundae dish. Of course I couldn't get it all of the spoon so quickly licked it off before my son wanted it (bad mom) Next went in some crumbled meringue nest and lots of strawberries & grapes. 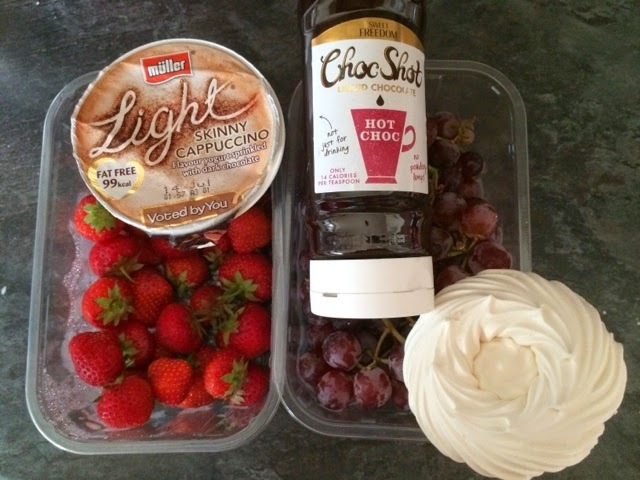 Topped off with a Muller Light Cappuccino yogurt and a yummy strawberry. 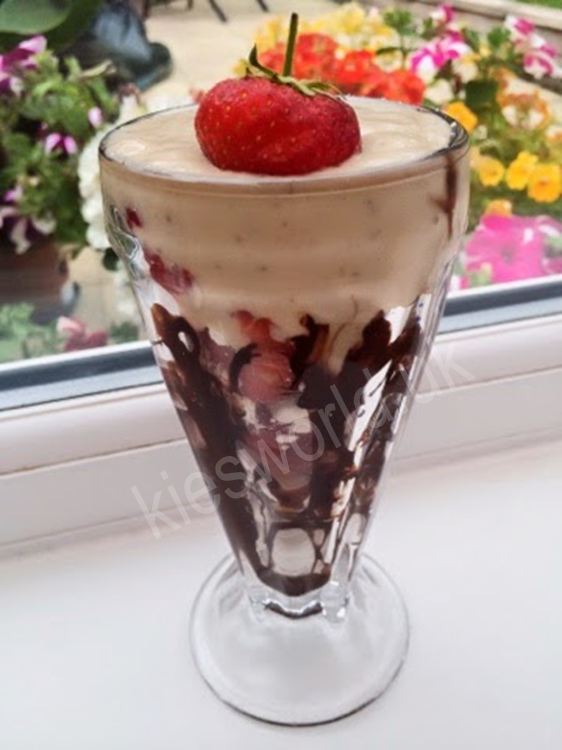 I do love my desserts and am always on the look out for new ideas and recipes that can be adapted to Slimming World food optimising and at 5 syns this sweet fruity chocolately pud is well worth it to me. 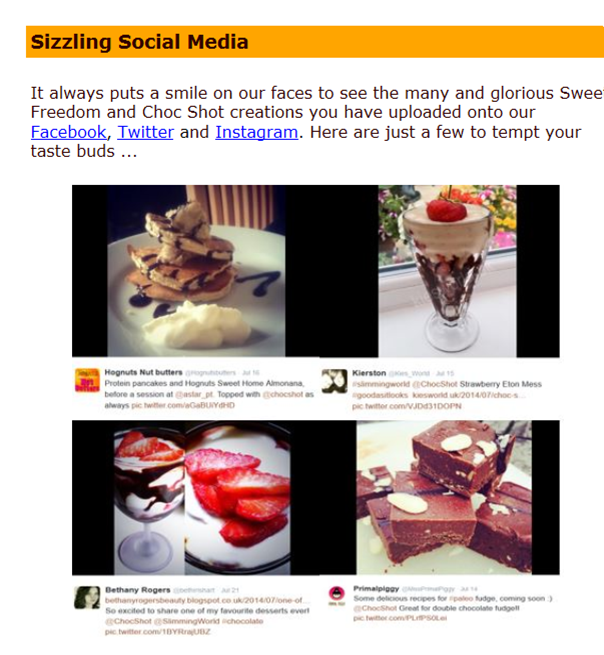 Update 1st August - Sweet Freedom who make Choc Shot featured my twitter post and yummy desert picture in their email #superhappy! This website & any products mentioned or opnions of the author are in no way affiliated or endosed by Slimming World. 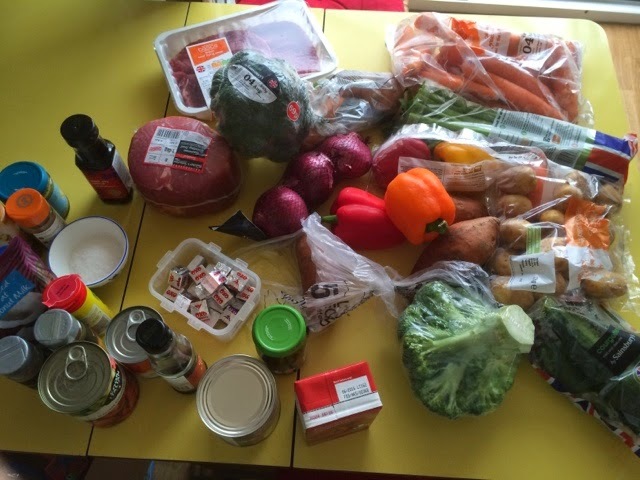 To protect your weigh loss always check syn values.